Net Generation is a USTA initiative to get kids involved in tennis regardless of age or skill level. Learn more here. Download the ticket form here, or go buy tickets online. Any valid Saturday, August 11 ticket also includes entry to Kids Day. 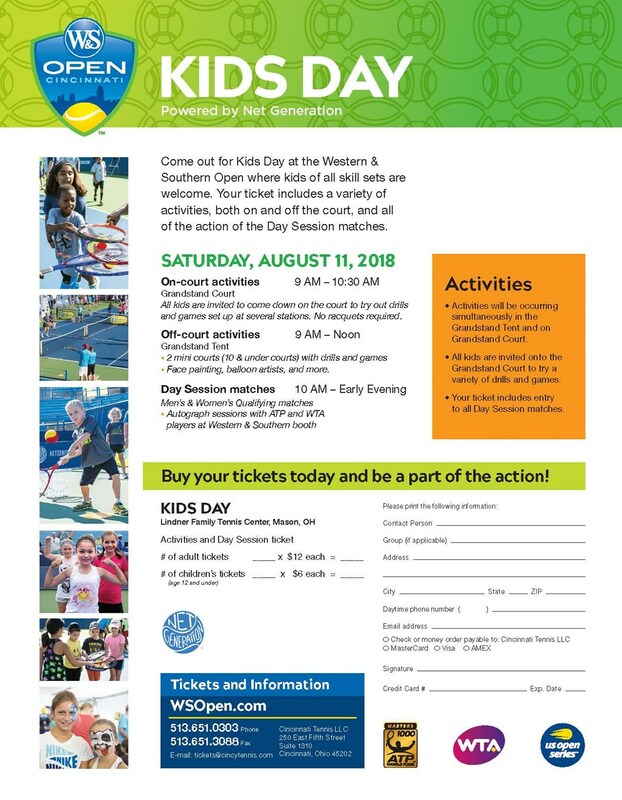 No additional ticket required for Kids Day activities.